Brown_4_Coin_Envelopes_-_3_x_4_12 is rated 5.0 out of 5 by 1. When classic is your friend and practicality is your best friend, then Brown #4 Coin Envelopes are your bestest friend ever! 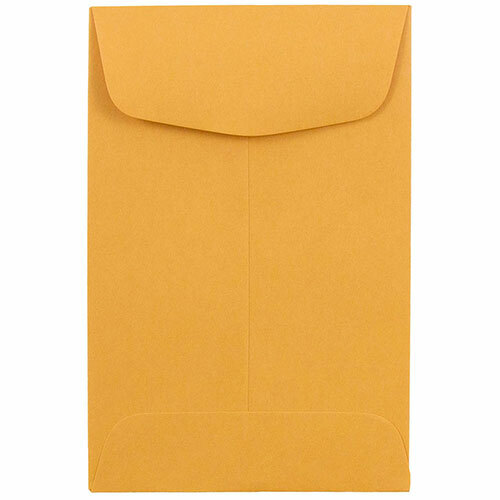 Brown Kraft 3 x 4 1/2 Envelopes are perfect for storing the simple things such as coins and stamps and more important things such as dollar bills and credit cards. These are also known as Manila #4 Coin Envelopes, and what’s more classic than manila? These packs will give you an organized purse, desk, or pocket all the while keeping your practical style intact. You no longer have to worry about where that one specific gift card is or that one specific stamp or those coins you need for parking. Use a brown coin envelope instead! Brown #4 Coin Envelopes measure in at 3 x 4 1/2 inches, available in Brown Kraft, and come in packs of 25. Love these envelopes? Well, you can also buy them in bulk! You know you can’t go wrong with manila!